Three of the most beautiful sites in the world is waiting for you on this unforgettable 2-hour tour of the Vatican with skip-the-line access. In this fantastic tour, enjoy the highlights of the museum and of course the remarkable Sistine Chapel in its entirety. This is also where the bones of Saint Peter remain, housed in St. Peter's Basilica, a place packed to the teeth with internationally-recognized brilliant pieces of art. And if you just can't get your fill of the truck-loads of art these two buildings offer, the Vatican Museums should well and truly satisfy your desires. 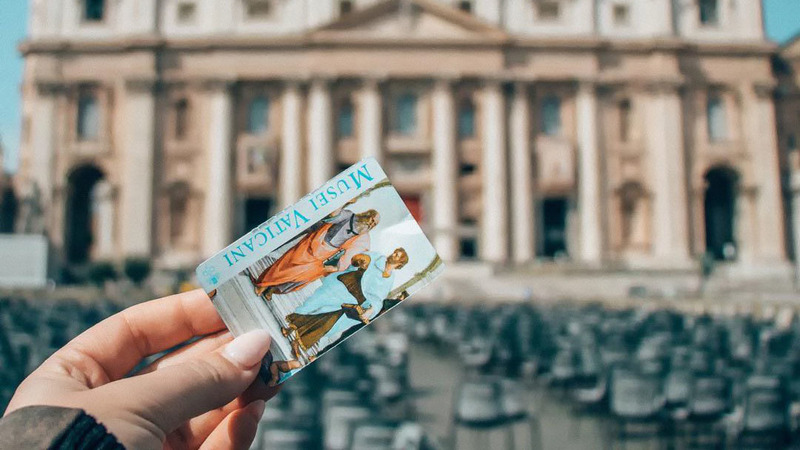 Opt to head over to St. Peter's Square, a piazza designed by Gian Lorenzo Bernini in the 17th century. The Vatican Museums are some of the most important museums in the world. The Vatican has a superb gallery, excellent Roman and Etruscan collections, and plenty more. Be sure not to miss the apartments that were decorated by Raphael. There is too much to see if you plan on going to the museums for one day. If you go for just one day, you just have time for the highlights. The highlight of the visit to the museums is the The Sistine Chapel known for Michelangelo's two most famous masterpieces: the ceiling, depicting numerous scenes from the Old Testament - such as the moment of Creation - together with various sybils and prophets; and the Last Judgement, occupying the entire wall behind the altar. But while you're there, don't forget to look at the other frescoes, by Botticelli, Ghirlandaio and others. The Sistine Chapel is also the meeting place of the conclave, which elects each new Pope. Please note: Dress code and other rules for entering the sights at the Vatican there is a dress code, that is enforced. Signs outside will tell you what is appropriate and what is not. You need to wear clothes that cover your shoulders, and you can't wear really short shorts.